Nurse Lauren Simpson is known in Hope Junction for the wrong reasons - and she's over it. Watching the man she's always loved marry someone else is the last straw and she decides to get out of Hope. But her resolve is tested when the hot new locum doctor arrives in town. Doctor Tom Lewis also has skeletons in his closet - including a painful breakup and devestating family news. He's hit the road with his vintage ute and surfboard, to travel the outback and live in the moment. When Tom and Lauren meet the attraction is instant but for Lauren, Tom threatens to be just another fling, and Tom has his own reasons for hesitating. Everyone else - their friends and patients - can see how perfect they are together, but just what will it take for them to admit this to themselves? 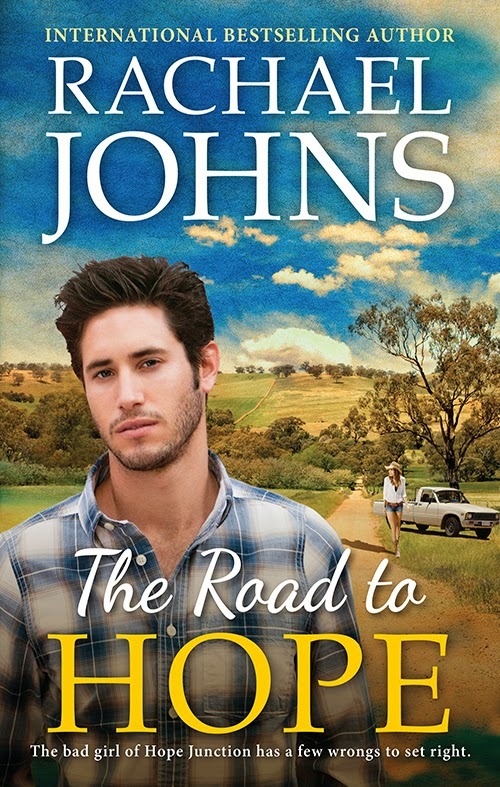 The Road to Hope takes us back to the small town in the south west of Western Australia that we were introduced to in Jilted. Lauren is known around town as one not to be choosy about the type of man she spends her time with, if you catch my drift. But when the guy she's had her eye on gets married to someone else, she determines to change her ways. She hands in her notice at work and starts to make arrangements to leave town in the search of a place where her reputation isn't quite so well known. All her plans go awry when she meets the handsome new locum doctor and discovers that she not only has to work alongside him, but thanks to her uncommunicative brother, live with him as well! Sparks fly as Lauren and Tom battle their mutual attraction while both maintaining their own reasons for not wanting to pursue a relationship. The town gossips have them pegged as a couple, and think that Lauren sunk her claws into Dr Delicious almost as soon as he moved into her home ... can Lauren prove them wrong? Or will she throw all her best laid plans into the wind and seduce the good Doctor? Can Tom overcome his own demons? As with all books written by Rachael Johns, I found this book to be an easy read and didn't put it down once I picked it up. Both the primary and secondary characters are well developed and the subject matter has been well researched. I recommend this book to anyone who enjoys contemporary romance novels.